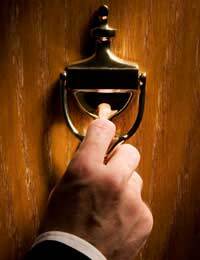 In a concerted effort to stamp out the threat bogus callers pose to the more vulnerable members of society, the UK has seen the launch of a wave of campaigns. Distraction burglary is a despicable crime that preys on the elderly and most vulnerable members of the community. Not only are victims robbed of material possessions but also their pride and self-respect. Perpetrators of this callous type of burglary pose as genuine callers – typically from utility companies – and then use trickery or distraction to gain access to a home and steal money and valuable items. Although this crime rarely involves violence, it can instil deep distress and even permanent trauma in its victims. The last decade has seen the crime become a major problem throughout the UK; during one year alone the UK saw around 18,000 reported instances of distraction burglary. However, the real figure is believed to be far greater, as police fear that as many as 9 out of 10 offences go unreported because often people are ashamed to admit falling victim. To help try to stem the scourge, the last few years have seen a wave of campaigns launch in the UK warning residents of distraction burglary, and offering guidance on how to tackle the threat. In order to reach as many people as possible, a variety of different initiatives have been put into action, including poster and leaflet campaigns, early warning systems, nominated neighbour schemes and even theatre performances. The most publicised of these was ‘Lock, Stop, Chain and Check’, a major campaign launched by the government to try to educate the elderly on how to identify bogus callers and avoid becoming their victims. Celebrities including Terry Wogan and Angela Rippon helped support the initiative that involved leaflets and stickers promoting valuable advice being distributed through organisations like Age Concern. A number of similar campaigns have been launched both nationwide and regionally with the aim giving older people the confidence to tackle bogus callers. These have included ‘Sure At Your Door’, an initiative launched by Age Concern in partnership with National Grid, and ‘Knock Knock’, a crime prevention leaflet and poster campaign introduced by the West Mercia Constabulary. The radio has also been used as another medium to broadcast valuable advice. In 2007 Crimestoppers launched a region wide radio campaign throughout the six counties of England’s Eastern Region that tackled the pressing issue of bogus callers. The main feature of the campaign was a radio commercial that asked, “If you know a bogus caller, who do you tell?” The idea behind broadcasting the message across such a wide area simultaneously was to target perpetrators that don’t live in the area they carry out their crimes. Whilst the majority of older people would be able to put the advice into action, some members of the community need a helping hand in dealing with unwanted and unexpected visitors. As part of the 'Nominated Neighbour Scheme', at risk residents are advised to seek the help of a neighbour or relative in identifying unfamiliar visitors. When a caller appears at the door, the resident shows the Nominated Neighbour Card, which instructs the visitor to verify their identity by calling up or going to the house of a nearby nominated neighbour. The carers of the more vulnerable members of society such as neighbours, relatives and friends have themselves been targeted by campaign. ‘Keep an eye open for bogus callers’ is a guide devised by the Home Office to offer common sense tips about important issues such as good doorstep behaviour, promoting independence and reporting crime. Unfortunately, even those elderly citizens looked after in care homes are at risk. It took a number of incidents of theft and bogus callers at nursing homes to prompt the idea of setting up an early warning communications system called ‘Police Care Watch’. The idea is that if a distraction burglary is reported at a care home, the police issue an immediate warning to all the care homes in the area to be on guard. This messaging system also allows the police to relay crime prevention information. The scheme has been praised as an excellent way of providing further security and reassurance to both staff and residents. These valuable messaging systems are not limited to care homes; local residents, can now sign up to local ‘Ringmaster’ schemes that notify them about crime and events in their area, including distraction burglary warnings. There are now even campaigns that aim to entertain as well as inform. The Trickster Theatre Production employs an original script, songs and professional actors to raise awareness about distraction burglary and whilst entertaining its audience, offers advice and helps builds confidence without raising the fear of crime.